The small engineering firm had a client relationship that most would envy. Millions of dollars in fees were awarded on a sole-source basis. No proposals were necessary. "Business development" activities focused on hunting and fishing trips. The families of the firm's president and the main client contact actually vacationed together! But when the firm hired me as a consultant, I was concerned with what I saw. Although over 80% of the firm's business came from this one client—a large energy company—no one in the firm could tell me what upcoming work was in the pipeline. There was no contract. The firm's principals deemed it unnecessary to try to extend their relationship to other key decision makers in the client organization ("our contact makes all the decisions," they told me). Then the unexpected happened. The firm's client was acquired by a still larger energy company. Reorganization followed, and the firm's primary contact was reassigned. The new management team raised questions about the firm's work. They had never really been required to demonstrate their success in delivering business results—construction cost control, life cycle costs, system performance, value engineering, etc. It would prove to be their undoing. The engineering firm lost most of the work with that client, and ended up being a bargain-bin acquisition by a larger A/E firm. Eventually what remained of their staff and three offices was discarded by the new owners, with the exception of two or three employees. Was their fate avoidable? Perhaps. At least their story offers a cautionary tale about client relationships that neglect taking care of business. And that's a distinction worth noting since there are some who think that friendship is the apex of a strong client relationship. But that's not necessarily true. Should you seek to make clients your friends? The philosophy of "friendship selling" was once commonplace, and I still encounter rainmakers in our profession who cling to that approach. There are still firms that largely equivocate client entertainment with client care. And the temptation still exists to neglect the business relationship because the client is a friend. In a friendship, the primary benefit is the relationship itself. The two parties are rewarded simply by spending time together because of their common interests and strong affinity. In a business relationship, the primary benefit is the business results derived from the relationship. That's not to suggest that affinity between the two parties is unimportant—it is. But a business relationship must deliver business value to survive long term. Every client relationship is by definition a business relationship, whether a friendship develops or not. Yet I've witnessed several times, like in the story above, where the friendship seemed to dull the service provider's attentiveness to meeting the client's business needs. Friendship should never be a substitute for fulfilling your responsibility to help your clients achieve business success. Not all clients want to be your friend. Of course, you know this. But I still see sales and client retention strategies that are arguably based on a friendship model. A telltale sign? Rainmakers who seem to call everyone they know "a good friend." You don't have to have a friendship to have a great client relationship. Indeed, this has become the norm. This doesn't imply an impersonal association. You still need to meet personal needs. But you can do that without a friendship that extends outside of work. Don't make making friends the focus of your sales approach. Instead, center your strategy on demonstrating your ability to give the client exceptional client service and deliver strong business value. Of course, personal chemistry and affinity are important, but are not a replacement for taking care of business first. Don't mistake client entertainment for client service. Thankfully, client policies (and a few lawsuits) have curbed most of the excesses in this area that were prevalent several years ago. But I still encounter some who feel it necessary to regularly entertain clients to gain or retain their favor. A better approach is to delight clients in the process of working for them, not only after hours. Don't actively pursue friendships; let them develop naturally. Despite a long history of successful friend-to-friend selling and doing business, I'm not an advocate of trying to make friendships happen as a business strategy. You can certainly take steps to cultivate friendship, but it is ultimately the byproduct of mutual interests and affinity. These conditions don't always exist with clients, or it may take an extended period for the friendship to take shape. Don't try to force friendship into every client relationship. If friendship develops, don't ease up in delivering business value. In fact, you should be all the more motivated to do your best in this regard. Unfortunately, friendship is sometimes used as cover for less than stellar performance. Be on your guard against taking client friendships for granted. Be diligent in establishing mutual expectations, refining your delivery process, closely monitoring performance, and regularly soliciting feedback from the client. I'd advise getting colleagues who don't share the friendship to help hold you accountable. They are likely to see dimensions of the client relationship that you don't. Don't neglect other important relationships within the client's organization. It's easy to stick with your friend, especially if he or she has purchasing authority. But there is usually value for both parties in broadening the relationships on both sides. Strive for a "zipper relationship" (multiple people in multiple points of interaction) versus the "button relationship" that often results when friendship is involved. 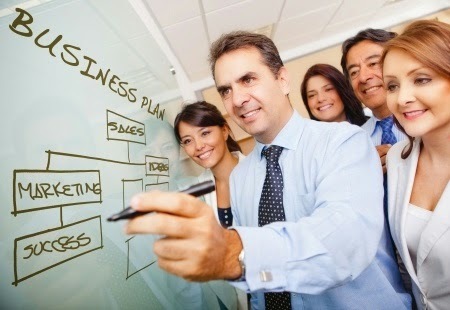 Make your friend look good by demonstrating business value to his or her coworkers.